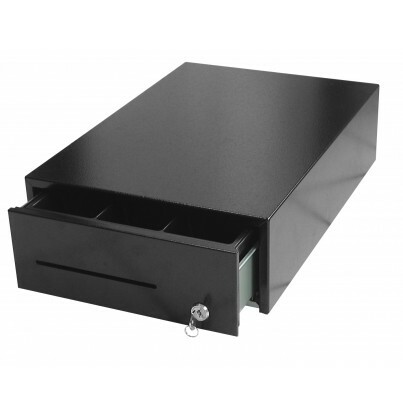 Compact, all-metal 5 Note, 8 Coin Cash Drawer. 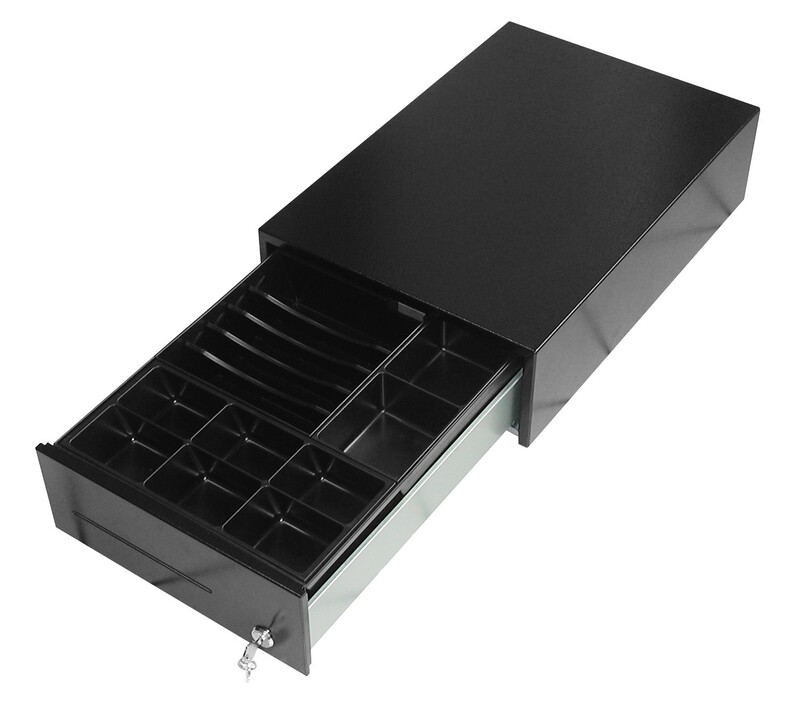 EPOS. 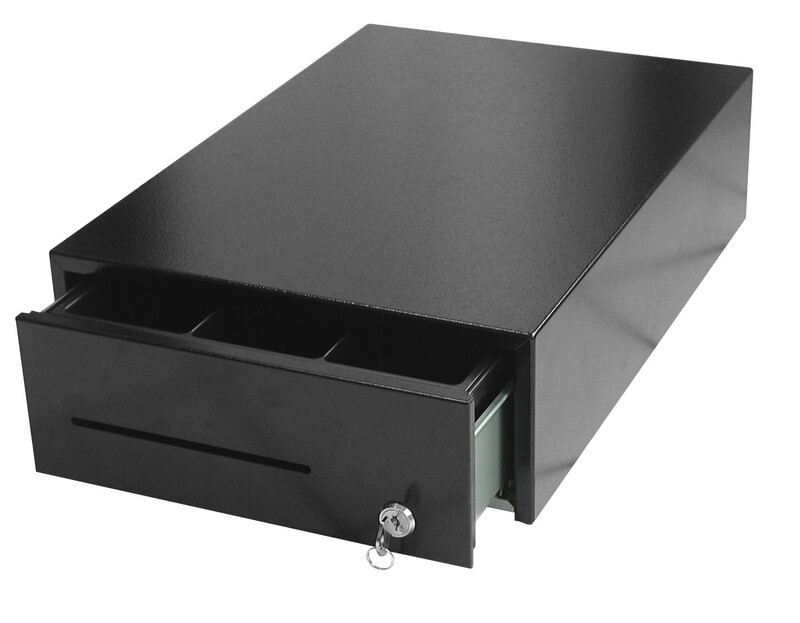 Available in ‘‘computer beige’’ or black this cash drawer will provide you by stocking the bills verticolly, a high capacity in a very small place.